A lazy programmer interested in Emacs, Scala, Data, Distributed Systems, Tamil computing. 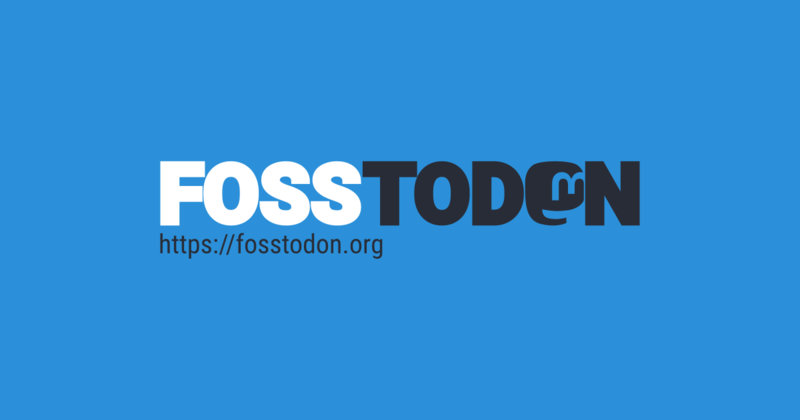 So @mike just pinged me to inform me that we missed Fosstodon&apos;s 1st birthday! On 01st August we became 1 year old. As I understand it, that&apos;s quite old for a Mastodon instance. Hopefully it will be the first of many, as we go from strength to strength. @balogic but twitter kind of company already know such a move will make them to loose market to federted alternatives. @prashere don&apos;t get me wrong, I feel the meme always polarises our opinion over time. That&apos;s the main reason I left fb. If there should be a place we need a Instagram alternative in fediverse.